Mario Lopez and Daughter Gia Lopez to Appear on General Hospital! 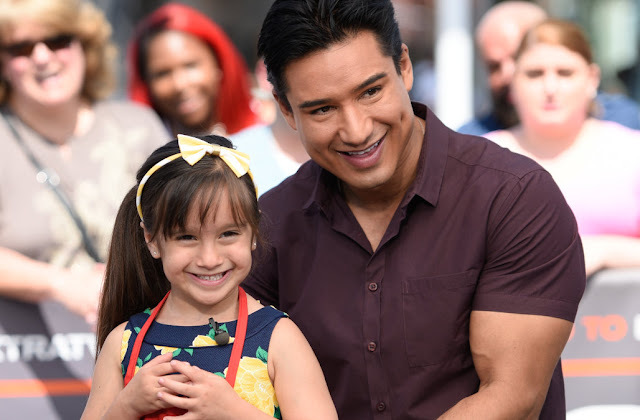 Fan favorite Mario Lopez and his daughter Gia Lopez are set to make an appearance on 'General Hospital' for this year's Nurses' Ball. Lopez revealed his upcoming appearance with a video posted to his Instagram and Twitter accounts. At this point an exact air date for the popular star and his daughter is yet to be revealed but in the meantime watch the video he posted below! Lopez is known to daytime television viewers for his role as Dr. Christian Ramirez on 'The Bold and the Beautiful' in 2006. He is also known for his role as A.C Slater on 'Saved by the Bell' and has appeared in numerous projects such as; 'Dancing with the Stars' and 'Extra'. Be on the lookout for their 'GH' appearance at this year's Nurses' Ball event. Soap Opera News: Mario Lopez and Daughter Gia Lopez to Appear on General Hospital!